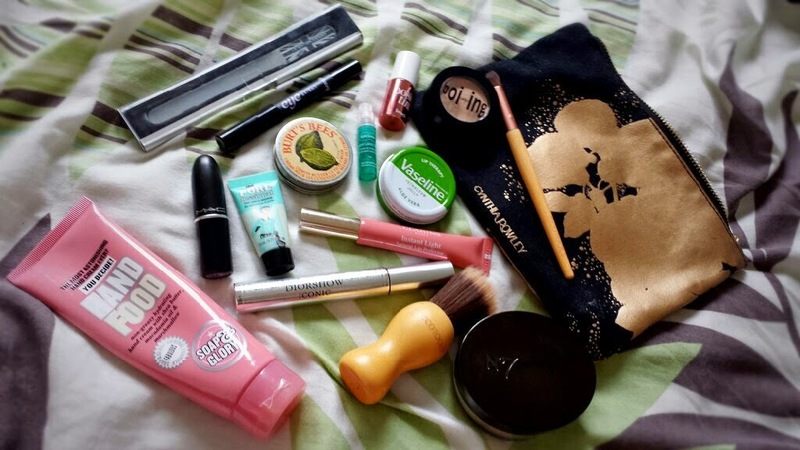 I know that a lot of people do these ‘What’s in my handbag/makeup bag’ posts, but what I wanted to show you guys is the makeup that I take with me when I’m going out for the day with my family. This could be out shopping or for lunch - I’m talking casual occasions. Being a mother, I don’t really have any time during the day for touch ups anymore. Especially when out with my family! In fact, it can be difficult to get through a meal without having to stop every two seconds to either pick up a dollop of food or a toy from the floor or to wipe little mans mouth. My food likes to go cold and then gets eaten quickly in the seconds that I have whilst little man is busy chewing his food before he demands his next spoonful. Now if you can imagine that (and if you’re a mum I am sure you go through the same! ), you can understand why makeup touch ups aren’t really high up on my list of priorities anymore. 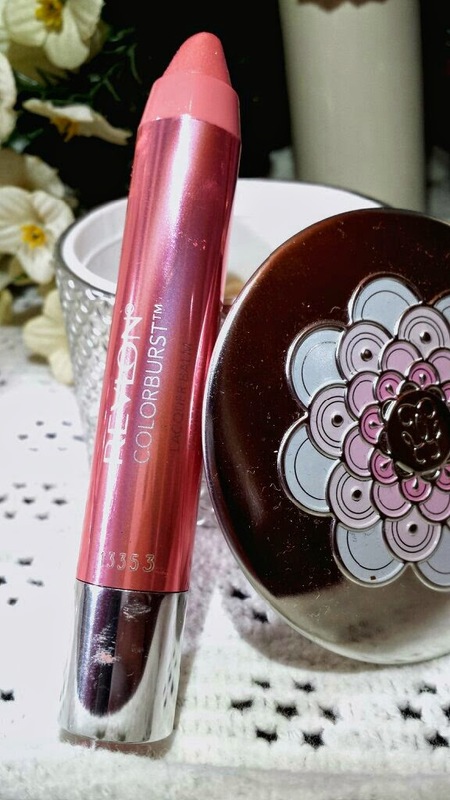 That is why I love products that last a long time and keep me feeling fresh and on point throughout the day without the use of touch ups. However, if touch ups are required it means that for me, they have to be as quick and easy as possible. This is why I wanted to share this ‘What’s in my makeup bag’ post - for any mums out there and women who generally don’t have time to touch up, I’d love to compare out and about products! Avon’s Gel Finish Nail Enamel is a new range of varnish that contains 24 colours that provide a high-shine, gel-like finish that is a base coat, colour and top coat all in one. A while back I wrote about this polish in shade Creme Brûlée and I raved about how much I loved it. Therefore, I had to buy myself another. 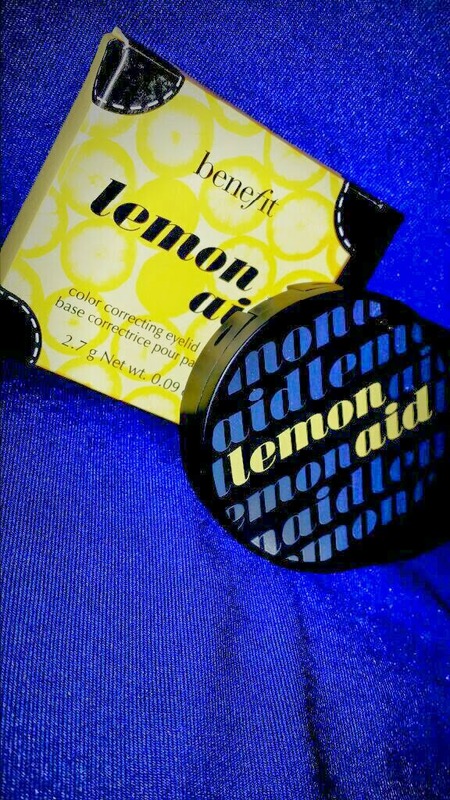 I chose the shade Royal Vendetta and have decided to review it for you. As with Creme Brûlée, I am going to compare this shade to another polish. Last time I compared Creme Brûlée to Barry M’s Lychee from the Gelly range which is also a gel-like finish polish in a very similar shade. 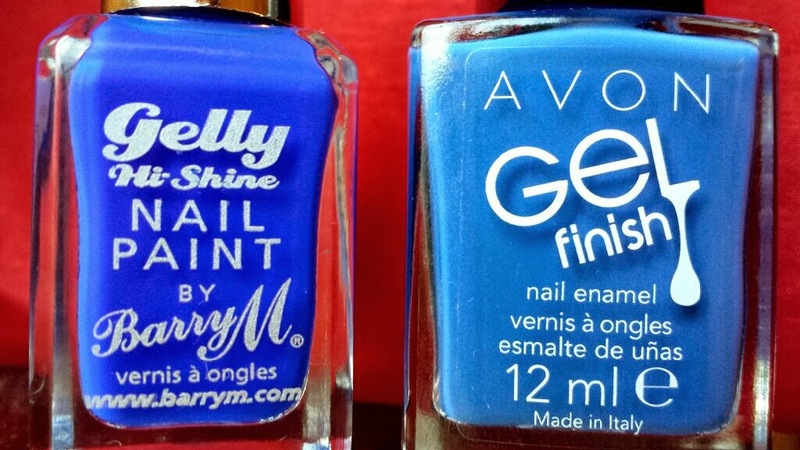 To go along with this, I have chosen Barry M’s Blue Grape, also from the Gelly range, to compare against Royal Vendetta. 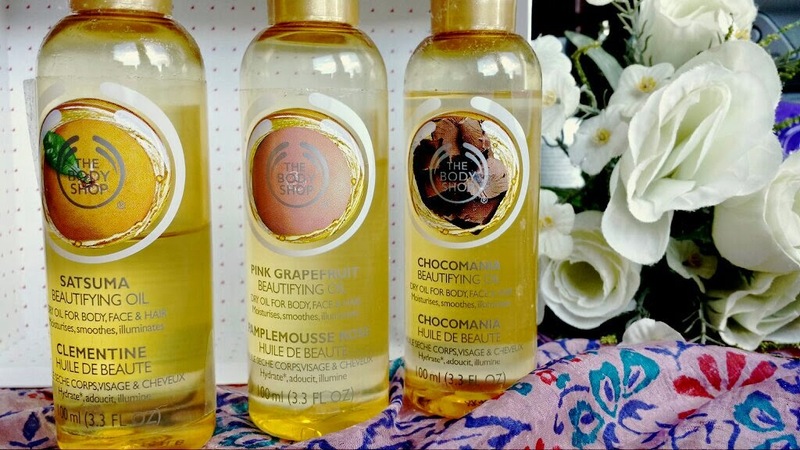 Beautifying Oils from The Body Shop are multi-purpose oils in a range of fragrances that can be used for a whole range of things from haircare to body oil. Made up from a range of nut oils, the star of the show is really the marula oil. Marula oil is an anti-inflammatory oil that can reduce redness, hydrate, soften the appearance of fine lines and wrinkles, soothe irritation and improve and restore skin elasticity amongst other benefits, too! I recently mentioned these oils in my Top 10 Multitasking Beauty Products post and from that I have decided to explain some more about them. The best way that I felt I could do this was to discuss the different uses for these oils and give a summary of how well they work in each area that they claim to be useful. As linked to in my previous post, I am going to try review a collection of tips suggested within the video that is posted on The Body Shop’s YouTube page. 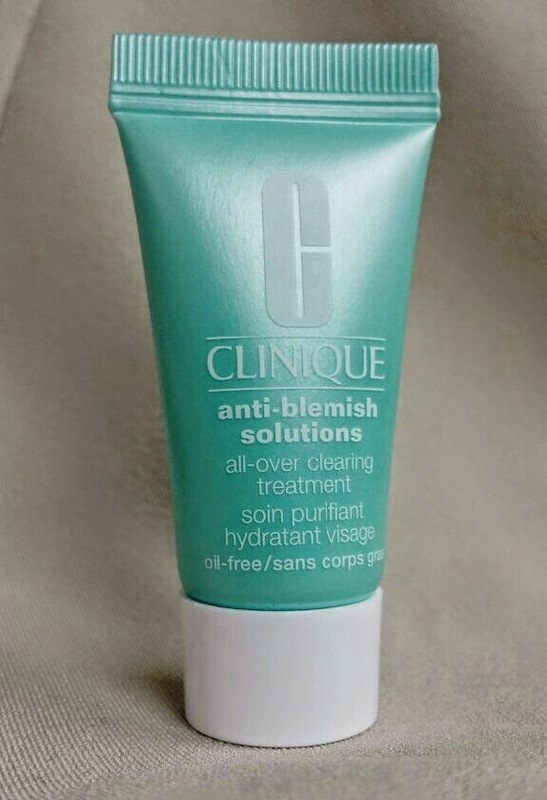 Clinique's Anti-Blemish All-Over Clearing Lotion is a daily use, clearing, hydrating lotion for blemish-prone skin. It also helps to mattify the skin without drying it out. First of all, I would like to apologise for the delay in this post. It was planned for yesterday but due to Airport issues on my Mac wreaking havoc on my Internet access, it didn't go to plan. Then, as I was going through my morning routine, I absentmindedly picked up a sample of Clinique’s Anti-Blemish All-Over Clearing Lotion to use and it came to me; resurrection. That probably means nothing to you at this point, but allow me to explain. 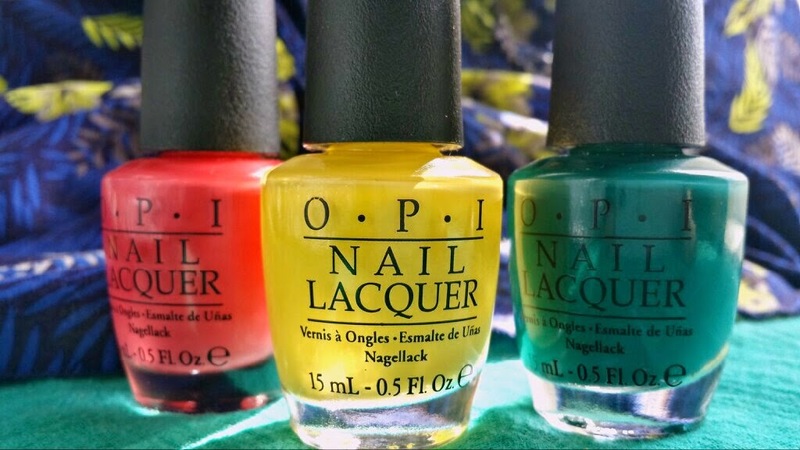 O.P.I’s Brazil collection is the new spring/summer 2014 addition to their vast catalogue of nail polishes. It includes 12 nail polishes and 4 mini textured polishes all inspired by Brazil! 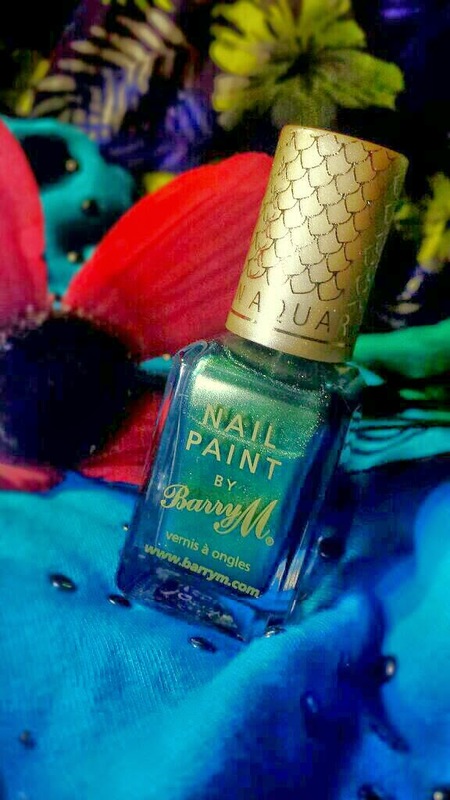 Now that we’re all in the mood to roll around in the sea read about nail polish, I’m going to be showing you the three shades that I own; AmazON AmazOFF, Live.Love.Carnaval and I Just Can’t Cope-acabana. Left to right: Live.Love.Carnaval, I Just Can't Cope-acabana and AmazON AmazOFF. Multitasking products are fantastic to have around. Why? They save you money, space and time. What isn't fantastic about that?! As a mum I especially find multitasking products a godsend. Every penny saved is another penny that I can spend on my son and every second saved is another I can spend with him rather than doing things like moisturising or makeup (which I wait to do later on or not at all if my son needs me, obviously!). Seeing him smile means far more to me than anything else! Alongside that though, some multitaskers that I have used have been better than products with singular usage. From this, I have decided to write up a list of some of my favourite multitaskers. From skincare to makeup, I've tried to cover everything. 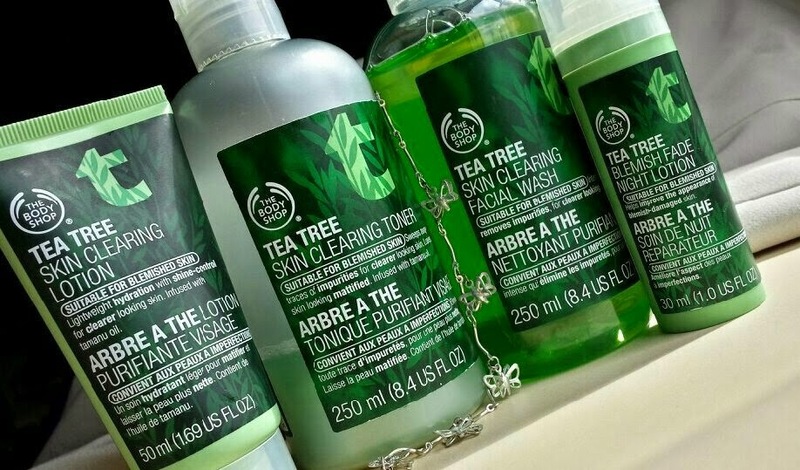 The Body Shop Tea Tree range is a collection of products designed for use on oily, blemish prone skin. Containing organic tea tree oil to clear skin and tamanu oil extract for healing and renewal purposes, they’re great for freshening up your face and body! 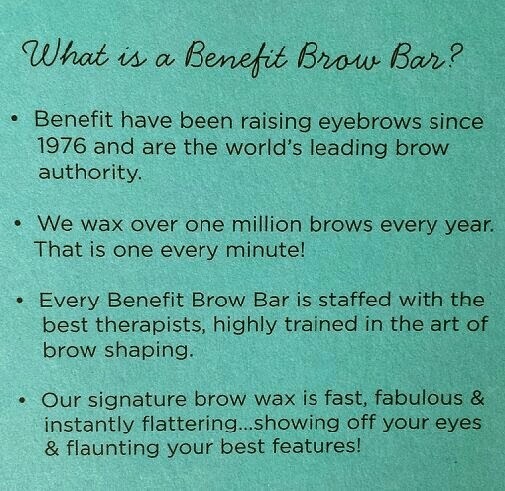 I have been using products from this range for years. Therefore, I felt that it was only fitting for me to write a post to discuss them with you! I’m going to talk about why I like them, how they work and why they’re good for busy women (or men, of course)! The products that I’m going to share my thoughts with you about are the Skin Clearing Lotion, Toner, Facial Wash and Blemish Fade Night Lotion. Zoya nail polish in Rebel is a full-coverage sky blue shade with a shimmer of silver glitter that creates a cool, metallic look. It is part of Zoya’s Awaken collection that was released for Spring 2014. 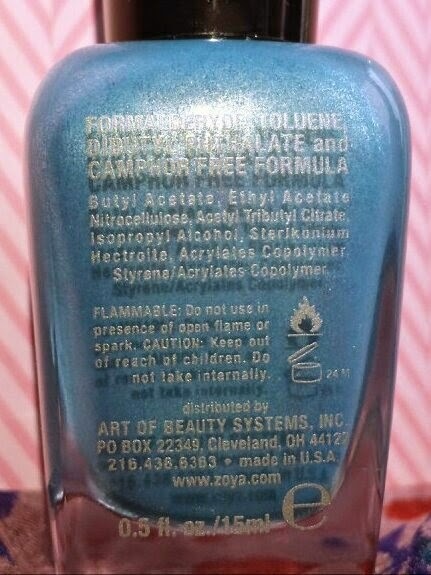 As with all Zoya polishes it is 5-free (not just 3-free) - no toluene, camphor, formaldehyde, formaldehyde resin or dibutyl phthalate. 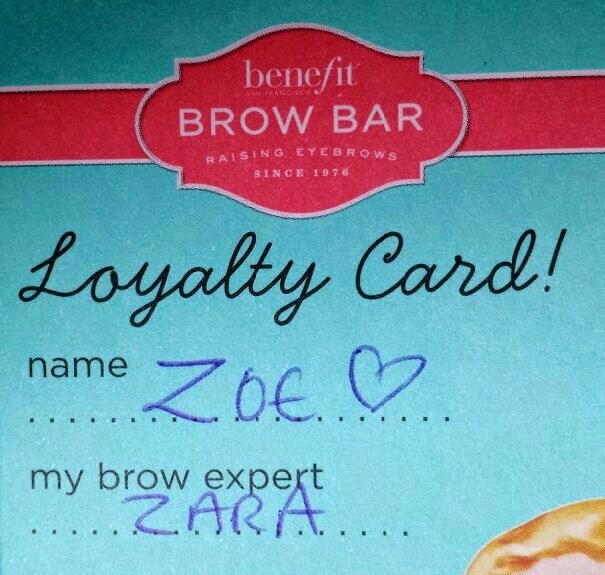 The colour of the polish in this photo is slightly off - I had to edit it slightly so that you could see the writing. 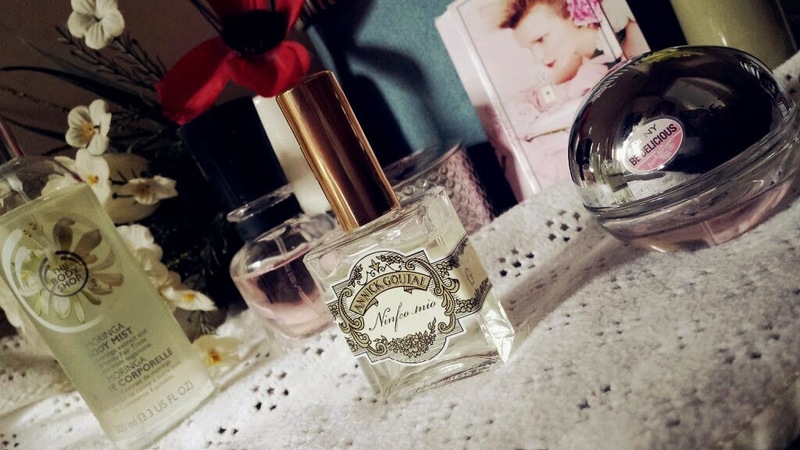 A couple of weeks back I wrote a list for Winter/Spring transitional fragrances. This time I am here with a list of spring perfumes within a wide price range to get you through the season! From low-in-price celebfumes (I just came up with that! Awesome, huh!? Yet again, someone may have already invented that word and if so then I apologise) to your high end designers, there should be a scent on this list suitable to everyone. If you haven’t read my previous list then I highly recommend that you do. Any perfume marked with an ’S’ or ‘B’ are just as suitable as the ones listed on this list! I haven’t re-listed them because this way gives you more of a choice. 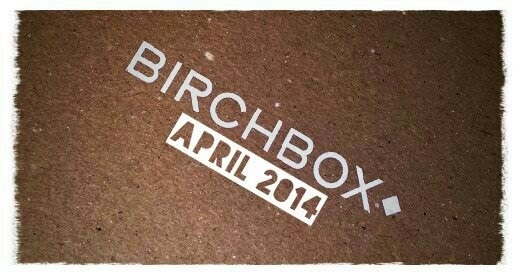 Let’s kick start the list!